The 5-Star certified Karl Bremmer Building, Clay Bricks supplied by Corobrik. Green Building Council of South Africa (GBCSA) has announced Karl Bremer Office Block in Bellville, Cape Town, is the first project to achieve a Socio-Economic Category (SEC) Pilot rating in Africa as part of its 5-Star Green Star SA rating, achieved at the same time. 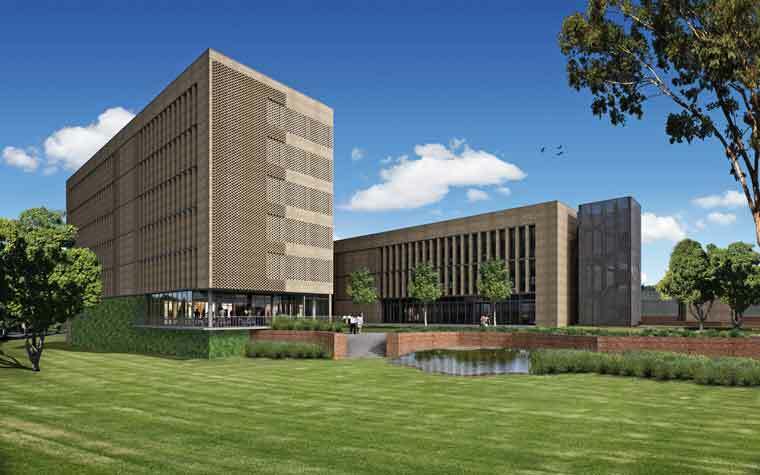 The office block is a project of the Western Cape Department of Transport and Public Works, with clay bricks supplied by Corobrik. The Socio-Economic Category Pilot is a world-first for rating tools. The GBCSA has taken the lead in developing a set of socio-economic criteria for green building rating tools. Simultaneously it has developed an International Socio-Economic Framework for the World Green Building Council, which can be used by other green building councils to apply to their rating tools. Socio-economic factors are particularly relevant in developing countries such as South Africa, and extend green buildings to encompass not just environmental sustainability but also socio-economic sustainability. The Socio-Economic Category allows the socio-economic achievements of new buildings and major retrofits, new buildings and major retrofits to be recognised and rewarded under Green Star SA tools. It is a separate optional category for which projects can be rated alongside their standard Green Star SA certifications. The development of the rating tool category was sponsored by Old Mutual Property. The socio-economic category is in its pilot phase and being tested before it is converted into a ‘version one’ rating tool category.